In the days since his death on 18 January 2018, tributes have flooded in for theatre director John Barton. He was invited to help form the RSC by Peter Hall in the early sixties and both were hugely influential. 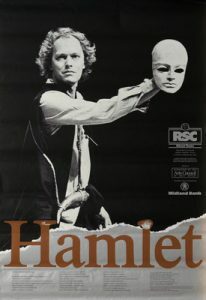 While Hall’s flair was for management, Barton was a brilliant teacher who helped generations of actors not to be frightened of Shakespeare’s text. Barton’s productions tended to look simple and undecorated, with timeless period settings and striking visual motifs that emerged from the text itself. 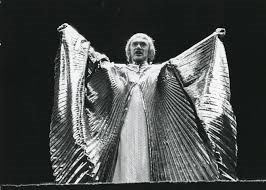 The dazzling golden cloak used in Richard II came from the line “Down, down I come; like glistering Phaethon”, and in Hamlet the mask held by the players was taken up by the prince as he examined his own thoughts and motives. Most powerful was the image, in his Richard II, of the King and Bolingbroke holding the crown between them, looking at each other as if they were reflections, an image repeated when Richard is in prison. Allowing him a breath, a little scene. Of questions, balances, not absolutes. Until you’ve smelt it out and asked the questions. Never forget the verse is there to help you. It’s closer to our own humdrum human speech. Later in 2018 Gregory Doran is directing Barton’s favourite play, Troilus and Cressida, dedicating the production to him. It obsessed him so much that he directed it three times for the RSC: in 1960, 1969 and 1976. Perhaps he felt there was always more to uncover in this knotty play. Ulysses: So to him we leave it. 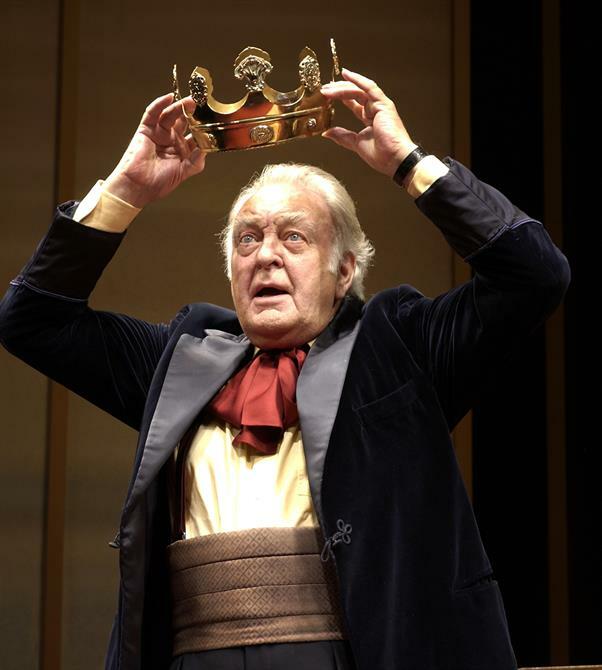 This entry was posted in Legacy, Shakespeare on Stage, Stratford-upon-Avon and tagged Gregory Doran, John Barton, Playing Shakespeare, Richard II, Royal Shakespeare Company, The Hollow Crown, Troilus and Cressida. Bookmark the permalink.